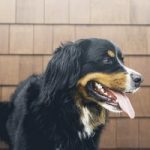 As a dog owner, you have to take a lot of time to learn how to choose the best foods for your Lab like many other dog breeds. 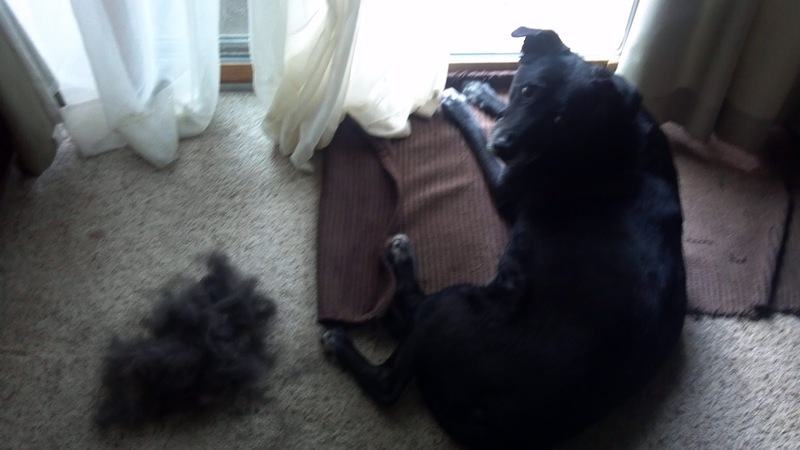 In fact, labs are easy to gain weight while it’s hard to shed. These dogs are high-energy dogs. That’s why we need to provide them with a proper diet of fat. However, don’t provide puppies with adult formula. Otherwise, your puppies can suffer from skeletal disorders. The foods you choose for your lab need to include fatty acids that help to improve his shiny coat. In addition, remember to add probiotics. 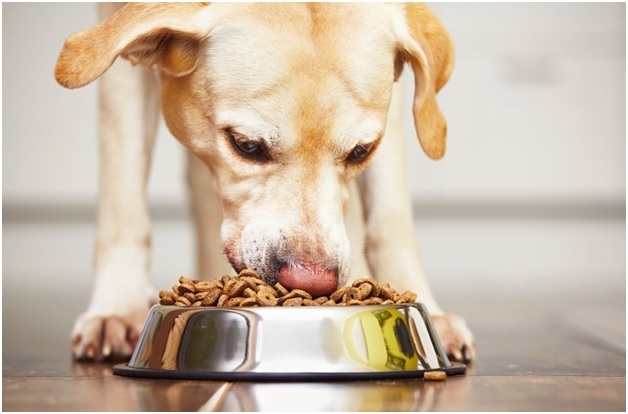 To learn more about choosing the best foods for labs, take a look at this article. How Much to Feed your Lab? As you know, each dog requires a different nutritional need. In fact, you have to give larger dogs with more foods compared to smaller ones. But, labs require the same percentage of protein, fat, as well as carbohydrate. It’s important to choose protein from good quality sources. You can choose chicken, fish, and lamb. As mentioned previously, they are high-energy dogs, so they want a food that is high in protein. Note that your lab can be easy to become obese. Keep in mind this point when choosing foods for your labs. 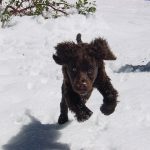 Consider some sort of food-exercise balance for monitoring your dog’s weight. If necessary, give your lab more exercise in the routine. 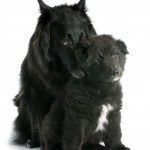 You should determine if your dog comes with a sensitive stomach before making a decision on the foods for him. It’s best to choose allergy-friendly foods, especially for labs that have a sensitive stomach as well as gastrointestinal problems. We advise you to choose soy and gluten for your lab. They are friendly with your lab’s stomach. There are 2 different ways to feed your lab. They are most common ways many owners use. First, you can feed your furry friend twice a day. Second, you can also feed him once daily after he is over 12-month old. You should feed him once in the morning and repeat in the evening. If your lab is overweight, you just should feed him 1/3 recommended quantity of kibbles. If you worry about your lab’s weight, learn more about how to maintain his optimal weight. These dogs are easily overfed. It’s best to divide your puppy’s food into several portions. You shouldn’t feed him a full day’s ration because your dog can get diarrhea. This can also affect his stomach. You can feed your puppies four meals during the day when he is between 8 and 12 weeks. He can get benefit from breakfast, lunch, and before dinner. These meals should be three- hour distance. This allows your dog to digest the food easily. This ration may be divided into 2 portions when he’s six months. It means you only need to feed him breakfast and supper. If you want a grain-free dog kibble food for your lab, you can choose Wellness Core. It offers 34% protein. So, this is a great support for your lab. Also, this is a good choice for active working dogs because of its tasty kibble. It comes with some good sources of protein such as chicken and turkey. If your dog has allergies, you still can choose this food for him. It contains about 15% fat. So, it’s perfect for a dog that is easy to be overweight like your lab. Moreover, many choose it for dogs on a diet. This food can provide your dog not only a healthy skin but also a shiny coat. Furthermore, your dog’s heart will get benefits as well. In addition to the fiber content, the food comes with probiotics that can improve your dog’s digestion. It offers antioxidants for a healthy immune system. Last, it can help your dog’s joints thanks to the glucosamine content. This is a good product for labs. It’s not only healthy but also inexpensive. Moreover, your lab will love its taste. This food is grain-free. This formula offers 18% fat. This food ensures to give your lab a balanced meal. Its fiber is from sweet potatoes and peas. They allow your dog easier to digest. In addition, your lab also receives slow-burning energy that is beneficial for his gut health. This formula is perfect for dogs with sensitive stomachs. This product promises to give your pet the essential fatty acids, including omega-3 and omega-6. Plus, the Canine formula provides a good shape for your dog’s immune system. This product is good for labs with shedding skin. It’s rich in protein. It contains 85% meat. It ensures to help your lab maintain his energy through all the day thanks to 38-44% protein content. However, this is not good for a puppy. You only can choose this formula for an adult. It’s because this food can damage your puppy’s skeleton. It’s made of raw and fresh meat. This option is also perfect for dogs with allergies. If you are looking for a formula for dogs with skin problems, consider this adult dry kibble. It’s a good choice for large dog sizes. It provides 12% fat and 23% protein. It can be able to support the energy level for your lab. In addition, it can help to maintain your lab’s weight. There are many sources of protein such as turkey, chicken, duck, and eggs. However, if your lab has allergies, don’t think about choosing this food. The food comes with salmon oil as well as probiotics to support your dog’s digestion. Besides, it ensures to maintain his optimal gut health. The food promises to provide your lab a healthy skin and coat because of the essential fatty acids found in. Your lab’s heart also is protected. Thanks to this formula, your lab can maintain healthy energy levels. However, this dog food is expensive a bit. This product is recommended highly for labs with sensitive stomachs. It’s a good choice for your budget because it’s not expensive. It ensures to give your lab enough protein without poultry or chicken by-products. The food contains chicken meal and salmon. So, your lab can develop strong muscle. It’s low in fat sliding. In fact, fat content only makes up 15%. So, we encourage choosing it for labs with weight problems. In addition, there are some essential fatty acids that help to maintain a healthy coat. This food product comes with no corn, soy, and wheat products. Moreover, it contains no flavor, preservative, as well as artificial colors. Your dog can get all the vitamins, minerals, and antioxidants from this dog food. Plus, it can give your dog healthy teeth and bones as well due to the phosphorous and calcium content. This dog product is made perfectly for active dogs. It provides your lab a natural taste. It can provide a close-to-natural diet for your dog. This is a great dog food that’s rich in protein. Its ingredients include bison, deboned beef, lamb, and venison. It comes with no gluten grains. Also, there is no trace of wheat, soy, and corn. This food is known as a unique hypoallergenic formula. 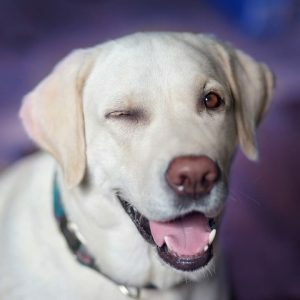 If your lab has a sensitive stomach, you can choose this food for him. The food ensures to provide your dog enough energy for all day long. Because of a salmon formula, it can help to fix your dog’s coat. However, it’s not a good option for all dogs. When it comes to the best dog foods for large dogs, we have to say about Eagle Pack Natural Dry Dog Food. So, it’s ideal for labs. With this formula, you easily provide your lab with a suitable diet. This food is a great source of protein from chicken, DHA, and lamb. That’s why it’s beneficial for your lab’s eyes as well as brain growth. it can be able to form your dog’s structure thanks to the phosphorus and calcium content. It’s also a great choice for labs that are in pregnancy. If you notice your lab has an ear infection, consider the Eagle Pack for him. Its ingredient doesn’t include meat by-products, preservatives, artificial flavors, and colors as well. In addition to the macronutrients, this food offers optimum quantities of antioxidants, vitamins, and minerals. For lab puppies, they need a great balance. So, this is a perfect choice for these puppies. Actually, this formula is a good solution for dogs with poultry allergies. Your lab’s coat and skin will also get benefits from this product. However, it can cause gas. This brand is well known for its hypoallergenic formula. The fact is that many dogs are sensitive to some foods. It can lead to allergic reactions. The Blue Buffalo Basics is a good solution for these dogs. Many pet owners love this product because of its natural ingredients. It provides your dog with a gentle nutrient absorption as it contains pumpkin and pea fiber. It has no poultry by-products. The food doesn’t contain wheat, dairy, corn, eggs, and soy. The ingredients allow your dog to easily digest. Because it contains chondroitin and Glucosamine, it’s perfect for active and athletic dogs. In addition, your lab’s immune system can be strengthened thanks to a blend of antioxidants as well as minerals. It prevents your pet from diseases and sickness. However, many dogs don’t prefer it because of the taste. You know, each lab requires a different need. For labs that are overweight, you only need to feed them less food. On the other hands, some others require more food. Some dogs are prone to certain ingredients. That’s why it’s important to choose the right dog food for your lab and for his health as well. After all, you have a list of the best dog foods for labs on the market today. The most recommended food is the Wellness Core Natural Grain Free Dry Dog Food. This food contains a great amount of protein your dog needs. It ensures to make your dog optimal growth. Many pet owners prefer this food because it has no artificial compounds, including color and soy. Furthermore, this is an affordable product. In order to determine what food is ideal for your lab, take your time to monitor his diet. If the food is not good for him, stop feeding it immediately. It’s best to consult your vet’s recommendations for the best lab foods. Then, you can choose a suitable one to keep your furry friend healthy.